Off late, if you’ve been in the market for a mid-sized sedan, chances are that you’ve been debating between the Honda City and Maruti Suzuki Ciaz. But the brand new Hyundai Verna is all set to upset the applecart. And, after a quick nip and tuck, can the Skoda Rapid make this a four-way fight? When it comes to mid-size sedans in our market, if there’s one nameplate that’s stood the test of time it would have to be the Honda City. Ever since its launch in the late-90’s, the City remains the blue-chip product in its category. In fact, in the late-90’s and early-2000’s, the City would easily clock sales of over 5,000 to 7,000 units month-after-month, which in its price segment was virtually unheard of. Over the years, the City has seen off numerous competitors – from the Opel Astra, to the fairly successful Mitsubishi Lancer, to the older Maruti Suzuki Baleno, and much more. However, as the market circumstances changed, some very worthy competitors emerged – namely the last two generations of the Hyundai Verna, as well as the Maruti Suzuki Ciaz, which has really been running the City very close off late. But, in the past couple of months, things have changed drastically in the mid-sized sedan segment. First came the withdrawal of tax rebates on the so-called ‘mild hybrids,’ which very quickly reduced the significant price advantage that the diesel-powered Ciaz had over the competition. More recently, the latest generation of the Verna has hit showrooms – and its packing more features than ever before. 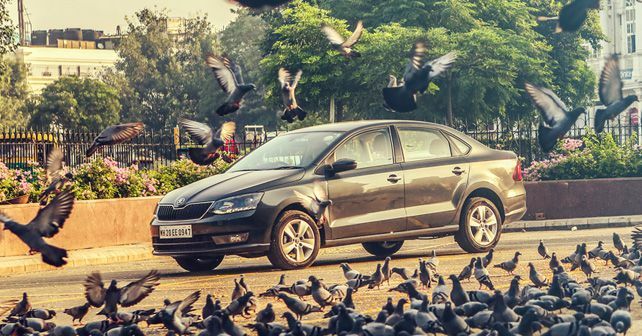 Meanwhile, the Skoda Rapid has also received a significant facelift that’s brought it back in the fold. So, let’s settle this once and for all and find out which one is best. First up is the brand new Hyundai Verna – the two previous generations of which have been quite popular in India. In fact, the first generation of the Verna definitely contributed to the popularity of common-rail diesel engines in India. At the time of its launch, it was clearly the most powerful and refined diesel engine in its category – which quickly made it a customer favourite. However, if there was an issue with the car, it was its excessively soft ride and dodgy high-speed handling, which made high speed cruising a bit tricky. Fortunately, one of the fundamental changes that Hyundai has made in the recent past is in the dynamic capability of their cars – but more on this later. Firstly, the new Verna borrows its styling from the brand’s latest design language, which gives it a large cascading grille. The overall design resembles the language featured in its larger sibling, the Elantra. The end result is a pleasing looking car that has a fair amount of road presence, while providing the impression of being a classy, modern design. I particularly like the LED taillights on the Verna, which follow a family theme carried over from the Elite i20, Elantra and the Tucson – all of which look very distinctive. 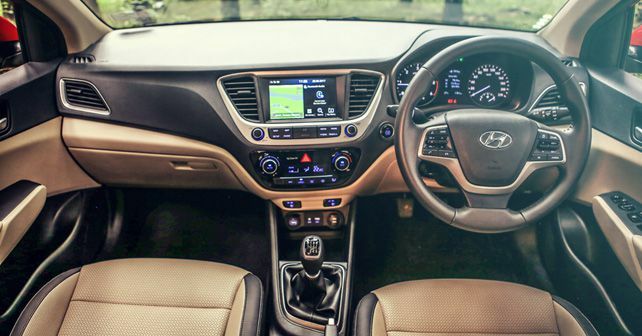 On the inside too, the Verna carries over the new design featuring the latest dashboard design and multimedia interface that’s shared with the brand’s other, and more premium, products. The fit-and-finish and quality standards of the Verna are segment leading, and it provides virtually every feature that you can think of. It gets Apple CarPlay, Android Auto and MirrorLink, as well as several other segment-firsts. My favourite feature amongst these would have to be the ventilated front seats, which blow cold air through the seat bottom and back to provide great relief when the car has been parked in the scorching sun. Also very useful is the hands-free boot opening function, which detects your presence close to the car and opens the boot lid after three seconds of you being near the car. But, this can be a double-edged sword as I discovered while out for a lunch with friends. As is the norm, there was no smoking in the restaurant. So, every time I accompanied my friends for a smoke break near the car, the car would automatically detect my presence and unlock the boot! So, while it does offer convenience, the detection and release mechanism still require some fine-tuning. Perhaps a Volvo-esque gesture sensing mechanism – where you swing your leg under the rear bumper to trigger the boot opening mechanism – would be more practical. However, the real changes to the Verna are felt while driving the car. First up, both the petrol and the diesel engines offer class-leading NVH and refinement. The diesel engine in particular has been tuned for seamless power delivery, and offers excellent power and torque from very low rpm. As a result, there’s virtually no turbo lag and it pulls cleanly in every gear while offering a class-leading 126bhp for brisk acceleration. Both the manual and automatic gearboxes are six-speed transmissions and are available on both the petrol and diesel engine, which work very well. The latest-gen of the traditional torque convertor automatics are a huge improvement over the previous four-speed gearboxes. The other area in which the Verna now excels is the suspension setup – which feels spot on now. There’s no high-speed wallowing, and it feels very tied down during triple-digit speeds. In fact, if anything, the low-speed ride feels a touch firm – but not uncomfortably so. Hyundai’s problem of ‘dead steering’ has also been addressed. The steering now offers decent response and feels quite direct, which is a very big improvement from the previous generation Verna and it greatly enhances the driving experience. But there’s bound to be a fly in the ointment, and in this case it’s the rear seat because room in the back is quite disappointing and clearly lags behind the competition. The sloping roofline may look good, but it doesn’t exactly aid headroom in the rear seat. So, if you’re six-feet tall, sitting in the rear seat of the Verna will be quite a challenge. But that’s about all you can fault the Verna for. 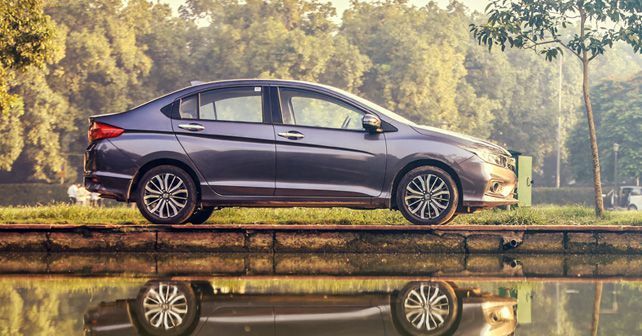 It’s no secret that the Honda City has remained the product of choice in the mid-sized sedan segment in India for almost two decades now. With multiple evolutions over the past twenty years, the City has changed over time to suit the ever-changing customer preferences – from the rocket ship VTEC of the first-gen car to the much more sedate and passenger focused car of today. And customers have responded with their chequebooks – writing bigger-and-bigger cheques over the years. As far as styling goes, the current-generation City plays it quite safe. The styling is clearly evolutionary from the last-generation, and, other than a few details here and there, it doesn’t have much to make it stand out from the crowd. Sure, the sharp line that extends from the bottom of the doors to the rear bumper is a nice touch, but other than that it’s the chrome-heavy front and rear-ends that dominate the styling. And, for me, the slightly raised ride height, along with the scrawny tyres, spoils the City’s stance on the road. The cabin of the City received a massive upgrade in its latest-gen, and now features touchscreen controls – not just for the multimedia system but also for the air-conditioning controls. Other than that, the rest of the interiors are typical Honda – and, to be honest, the quality of the fittings are quite good. However, the touchscreen multimedia system on the City is a bit of a let-down. The touchscreen is slow to respond, and the steering controls refused to work when the system was streaming music off my iPhone via Bluetooth. Plus, the system adroitly refused to pair with the iPhone automatically, and would also randomly switch itself off while driving – not a good experience in this day and age. But, let’s be clear, as far as space for its occupants is concerned, it’s the City that stands head-and-shoulders above the competition. It can seat five full-sized adults in complete comfort, and, at a volume of 510 litres, it also offers a fairly voluminous boot – matched only by the Ciaz. But things are not so good when it comes to the City’s driving appeal. As with most current Hondas, they seem to have slowly, but surely, lost their driving appeal – which was once a major attraction in any Honda. The 1.5-litre petrol engine of the Honda is a decent power plant, but it doesn’t stand out in any way – except for the fact that it has very linear power delivery and good refinement. The 1.5-litre iDTEC diesel, on the other hand, delivers plenty of power and torque when on the boil, but it suffers from too much turbo lag and the NVH of the diesel unit is a problem that Honda has failed to address. Despite the City featuring a reasonable amount of sound deadening, the refinement is nowhere close to the Verna’s. And the electric steering of the City, while direct, doesn’t offer much feel either. However, the manual gearboxes on both the diesel and petrol versions are extremely satisfying to use – hinting at that inherent Honda goodness that’s buried somewhere deep within the bowels of this machine. Lastly, the suspension of the City seems like a decent compromise between ride comfort and high-speed stability, but, at times, the car feels a little skittish because of its raised ground clearance and high centre-of-gravity. Let’s be clear, the City is no longer a driver’s car and it doesn’t like being thrown around at all. However, if you’re looking to be chauffeured in comfort, the City still offers the best package in its segment. When the Ciaz first came out, it was quite a pleasant surprise from Maruti Suzuki. With a combination of good styling, a fair amount of space, and a good value proposition, the Ciaz struck the right chord with Indian customers. And, finally, Maruti struck gold in a segment that it’s had battled against for years – both with the original Baleno, as well as the more successful SX4 over the years. With its clean lines, and prominent chrome grille, the Ciaz has aged quite well in the face of tough competition. The Ciaz still looks distinctive and attractive. The cabin, though, hasn’t done quite as well. The touchscreen multimedia system – shared with many other Maruti Suzuki products – looks a little dated now and needs to be updated with better typography and design as compared to the Verna or Rapid’s, however it still has the most seamless operation. Similarly, the quality of the cabin isn’t up to the level of the competition, and both these issues need to be addressed in a mid-cycle refresh – which is expected next year. Similarly, the 1.3-litre MultiJet engine is now beginning to show its age. 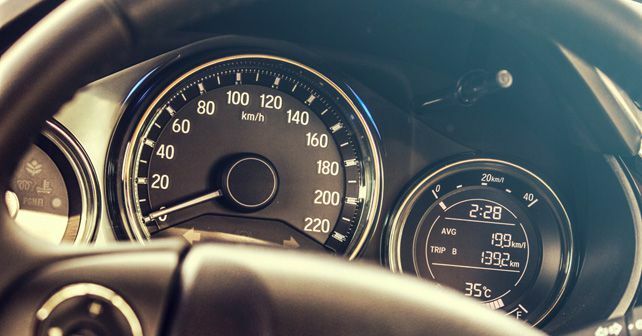 While the NVH levels are an issue, more of an issue is the pronounced turbo lag – which can be quite annoying in traffic. The 89bhp of power – the lowest in its segment – doesn’t help either, as you have to really work the engine hard to keep up with fast moving traffic. However, being a Maruti product, the Ciaz did display the best fuel efficiency figures of the lot – with an average of over 20km/l. Plus, the suspension setup of the Ciaz is extremely well sorted – which means that dynamically the Ciaz can be quite enjoyable. Of course, more power would be nice. But if you plan to be driven around in a CIaz, which has excellent interior space utilization – that only just lags behind the City – you’ll find it to be a rather pleasant experience. Sure, the interior quality could be better, but considering the value of the product you can’t really afford to complain. And the understanding of this value appreciation is what’s made Maruti number one by a long way in the Indian market. If you wanted to understand how two variants of a single product sold by two brands under a single conglomerate would work in India, in my opinion, the Skoda Rapid and VW Vento would make for a very insightful case study. While other such attempts have been abject failures (Nissan Micra and Renault Pulse, anyone? ), it’s interesting to note that both the Rapid and Vento have done reasonably well. The Rapid, currently, has a distinct advantage over its sibling considering its recent facelift. All said and done, the new Rapid – with its sharpened styling and attention-to-detail – looks very sharp, and that itself has brought it back into the reckoning for many. Styling wise, the Rapid remains a handsome car – featuring some of the Czech brand’s design signatures, like the large chrome-slatted grille up front. The interior, though, looks a bit dated now. But I have to admit, the quality levels of the Rapid as good as ever. And, in this respect, it’s the only car that can actually compete with the new Verna – but the cabin misses some of the highlights that make the interior of the Verna stand out. A few splashes of silver or brighter colours in the right doses would do a great deal to liven up the cabin. On the space front though, the Rapid does much better than the Verna. While it might not be as spacious as the City, it’s not a bad place to spend time in. However, if there’s an area where the Rapid lags behind, it’s in regards to its 1.5-litre diesel motor. Faced with competition like the Verna, the engine in the Rapid feels at least a generation – if not two – older when it comes to turbo lag, power delivery and refinement. To be honest, there’s simply an unacceptable amount of engine noise that makes it way back into the cabin. When on song though, the engine performs quite well and the Rapid retains its European dynamics. The suspension setup offers an excellent ride-and-handling combination, which works very well on our roads. And the dual-clutch gearbox is clearly the class-leader here. To be brutally honest though, what the Rapid needs now is a generation change – as there’s only so much that these face-lifted models can achieve. Having sampled all four cars over the course of a week in varying driving conditions, it was time for me to gather my thoughts and start penning down the results of this intense battle for supremacy. First up, despite its facelift, the car that appears most out-of-sync with today’s market scenario has to be the Skoda Rapid. In isolation, it’s still a satisfying package – but in comparison with the competition, the car clearly feels dated – especially in terms of refinement. And when you combine that with its value proposition, it becomes difficult to recommend the Rapid to someone other than an adroit Skoda fan. Next up would have to the Maruti Suzuki Ciaz. Sure, it still remains the best value-for-money proposition in its segment – despite the recent price increase on the diesel models. 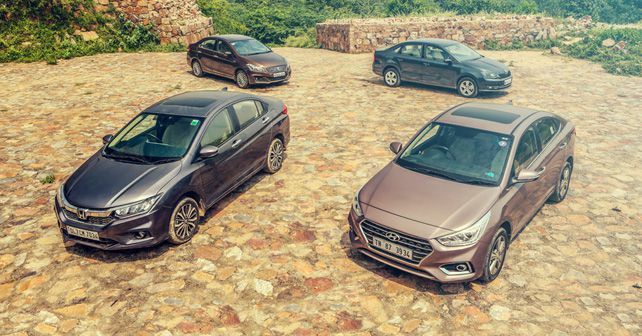 The problem, though, is that with the new Verna, Hyundai has raised the standard in terms of quality, driveability, power and refinement. If you’re chauffeured around, and simply need something that offers space and reliability, combined with great value, the Ciaz still makes a great deal of sense – but it falls short in terms of that finesse and attention-to-detail. Next, I’m afraid, is the elephant in the room – the Honda City. Sure, it might not be the enthusiast’s natural choice any more – the company has been smart enough to realise that most Indian’s aren’t enthusiasts – but the City still offers a very convincing package. It has class-leading interior space, and except for a disappointing multimedia system, it offers good quality and usability. Add to that Honda’s blue-chip brand appeal, and it’s still a very formidable competitor. But the premium pricing and the NVH levels in the diesel model is its Achilles heel. All things considered, and after some bloodletting, it’s the Hyundai that comes out on top. The fact is that its new-age design, fantastic quality, feature list and value proposition all propel it to the top of the segment. 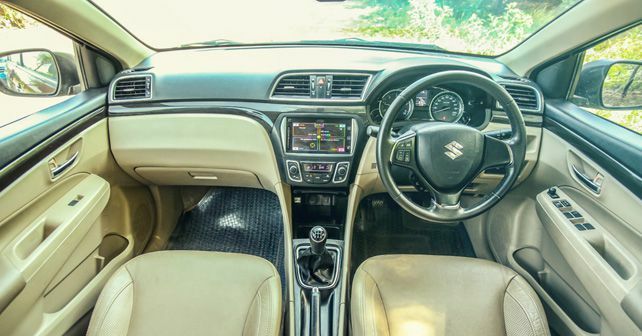 It’s priced quite aggressively right between the Ciaz and the City, and it offers the most refined and well balanced package of all the cars in this test. Add to that the recent gains that Hyundai’s made dynamically – in terms of ride-and-handling, as well as high-speed stability and steering feel – and the work of the Korean R&D team has clearly paid off. The trouble is, however, that you must be in the driver’s seat to reap the rewards that the Verna is prepared to bestow on its owner. If you find yourself cooped up in the cramped back seat more often than not, you’re sure to curse your purchase decision. But if you’re going to drive yourself, the Verna is the best mid-size sedan you can buy in our market at present. X-factor: Modern, refined, and loaded to the gills with features, the Verna sets a new benchmark in its segment. X-factor: If you’re looking for space and comfort, and don’t mind paying a premium, the City is still the car to have. X-factor: Maruti understands the Indian market better than anyone, and so the Ciaz offers the most value in its segment. X-factor: If it’s European dynamics you’re after, the Skoda still delivers. Ride-and-handling is good, and the DSG gearbox is the best in its segment.